As summer winds down and the kids are getting ready to head back to school, a sobering article just caught my eye. 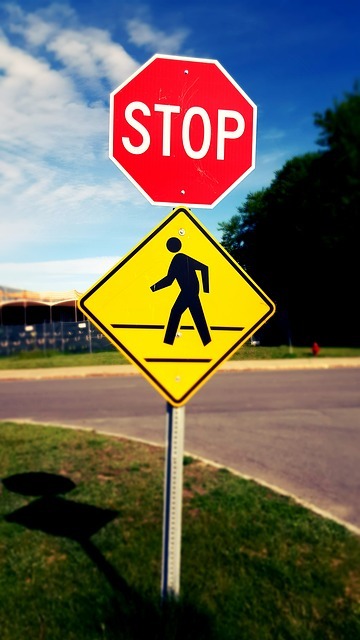 Fairfax County Police report that while accident fatalities overall have declined since 2010, pedestrian crash-related deaths are rising in Fairfax County. Using data from the local organization Street Smart, FCPD reports four pedestrian deaths in 2012, five pedestrian deaths in 2013, nine pedestrian deaths in 2014, and 11 pedestrian fatalities in 2015 (the latest year for which they have data). What a loss to our community! Sadly, in our office we see first-hand the devastation that results from these kinds of accidents – the rising number of fatalities is no doubt mirrored by a rising number of non-fatal accidents that leave pedestrians with life-long injuries. And while we can and do fight for our clients when someone is at fault for their injuries or the death of their loved one, I can tell you that in these cases, “winning” doesn’t feel like the right word. We prevail for our clients, but every single one would rather turn back the clock to be physically sound and emotionally whole. Winning cases is important, but preventing these kinds of cases in the first place would be ideal. So what’s happening to cause the rise in fatalities? By now we all know the preventable causes – alcohol. Speeding. Distracted driving. But since we know what the risk factors are, shouldn’t there be fewer fatalities instead of more? What’s going on there? I think we don’t just need to know this information, we need to believe it’s real. We need to remember it. Not just when we come across an article (like this one, even!) but when we are in a car or walking/running as a pedestrian – or on a bicycle. THAT’S the time to be mindful that a car is very large and a person on foot or on a bike is very small. When we are tempted to drink and drive, or speed, or answer that text or talk on our phone, we need to pause and remember some of our neighbors who are part of those fatality statistics. Andrew Gooden is one. He was biking in Herndon last summer when he was hit from behind by an SUV. He leaves a wife and two children, and had a baby on the way. Police didn’t say what caused that crash – on one hand, Gooden and his friend were not wearing reflective gear, which is so helpful to drivers. On the other hand, the crash was at 8 PM in August, when it is still relatively light out – two men on bicycles are normally hard for an attentive driver to miss. As a lawyer, I can tell you there would be a lot here to sort out. But I can also guarantee that everyone involved – everyone – would like to have a “do over” on this. The bottom line is we are all better off doing everything we possibly can to avoid accidents like these. No “what ifs,” no “if only’s.” Just alert, attentive drivers, cyclists and pedestrians who look out for one another instead of looking out for the next text or whatever. And hopefully next year, the FCPD can report a drop in the number of fatalities. At BenGlassLaw, we want your business, but not like this. Be careful out there!